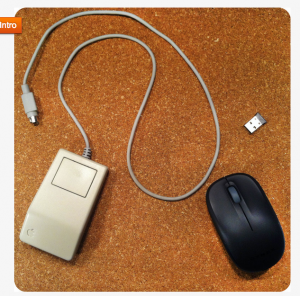 Remember when mice were a new and awesome invention? Then a few years later we tired of them as new, wireless mice were brought to the market? After retiring the wired mice, there is a whole generation of them hiding out in our collective drawers, cupboards, back sheds and second-hand stores. Well now it’s time to round them up and give them a wireless heart-transplant! By following the tutorial by Instructables user ‘Uncoventionalhacker’ you can transplant the hardware from almost any donor wireless mouse to bring that old mouse back to a second useful life. If possible, use a Bluetooth mouse as this will allow use with a greater variety of PCs without needing specific dongles at the computer end. Nevertheless the modification is quite simple and involves carefully removing the old mechanical ball-reading circuitry from the original mouse, then moving the same assembly from the new, laser mouse. Be sure to heed the instructions with regards to preparing the donor board and especially holding down the laser tracking lens – otherwise it won’t work correctly once transplanted.